Then one day, maybe it was a karma thing, an advertising member on our eh Canada Travel website, who gets it, asked us to come to Merritt and talk with Tourism Nicola Valley (TNV). We put a presentation together about adventure tourism, tourism trends, traveler habits, physical inventory and some thoughts on the current online marketing strategy of the region. A few more presentations later and a detailed digital marketing plan and the group is now making some exciting moves in the right direction. I am so proud of them! I have never been shy about my love for the tourism industry and its people. Nor have I been shy about my frustration and disappointment in the lack of ingenuity, inspiration and education provided to the front line tourism businesses by some of the regional tourism associations across Canada . Without educating, how are businesses and communities suppose to make smart decisions? Many, not all, of the current small town tourism models located across Canada are generally broken as traveler habits and technology changes. This lack of self reliance leaves many tourism businesses no option but to rely on others like the regional and provincial tourism associations, and the Booking.coms (OTAs) of the world to generate revenues. These OTAs are crippling small businesses with their booking fees. In my opinion these OTA websites are the worst thing to ever happen to tourism. The lack of traveler information on these websites creates poor decisions. These sites have very little going for them when it comes to adventures, attractions, activities and entertainment. A necessary element in the planning process for increasing stays in a community. These sites claim to offer the lowest prices to travelers when in reality the best price is usually found on the actual personal websites of the business. The worst part of it all is that tourism businesses in Canada are sending billions of dollars to out-of-country head offices from high booking fees charged by OTAs. This is the same revenue which use to stay in Canada growing tourism businesses and being reinvested back into communities. 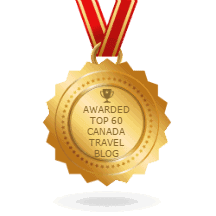 Our hope here is that the Experience Nicola Valley Blog will educate the traveler therefore creating longer stays, develop a seasonal tourism industry and to direct as many travelers as we can towards Nicola Valley businesses, events and adventure websites. What is a Community Blogging Program? The reaching out by TNV was another opportunity for eh Canada Travel to help one region build on the present and prepare for the future. 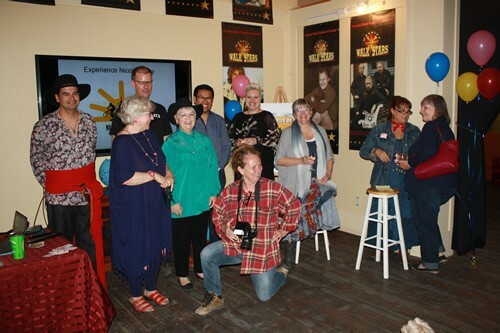 Last week Tourism Nicola Valley launched a unique community blogging program involving 9 local bloggers. 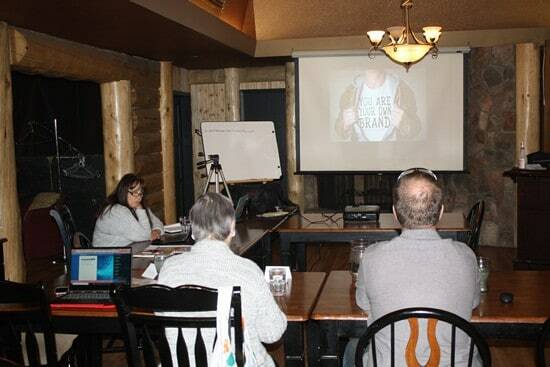 The bloggers will be writing about Merritt, BC and Nicola Valley attractions, outdoor adventures, art, culture, people, events, business, First Nations and much more. The community blogging program is the first of its kind in Canada. On June 15th, 2018 the Mayor of Merritt pushed the red button and officially launched the project. Now the fun begins! Like many things in life what seems easy on the surface is very complex behind the scenes. This is the case when creating a new blogging program. Imagine how much there is to learn, in both, the concept and technique of community blogging. Yes… there is a technique in writing blogs. Let this be said…. blogging is in no way as simple as typing words onto the screen and clicking enter – not if you want your blog post to have traction and longevity online. The community blogging program is designed for members of the community to work together so to create a landslide of organic quality content pointing travelers to the region. It is this targeted content which will assist other platforms in the community in educating the traveler about the many benefits and adventures when exploring the Nicola Valley and Merritt, BC, Canada. This content will connect with the traveler while they are in their planning process, changing itineraries, swaying decisions and therefore helping to create more interest and longer stays in the region. 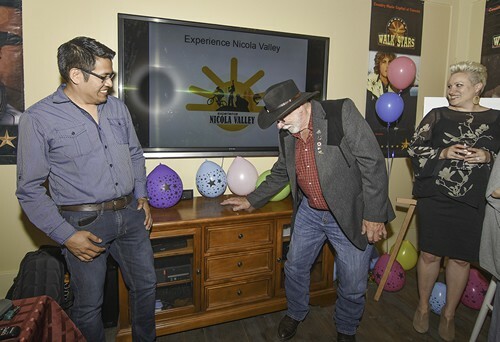 After a detailed analysis of the Nicola Valley region including its physical inventory and current online presence we presented Tourism Nicola Valley with a digital marketing plan. Many presentations later and once the fundamentals and benefits were understood by the stakeholders of Tourism Nicola Valley the ball started rolling. The first program TNV decided on was creating a community blogging platform. Now the group needed to round up bloggers. We instilled the importance of casting a wide net when recruiting bloggers so to cover as many of the groups represented in the community. In the end, the Experience Nicola Valley group rounded up 9 1/2 bloggers. Here they are. Click a link and meet them. They are a great group of people with their hearts in the right place. Well the group was rounding up bloggers, eh Canada Travel started developing and creating the Experience Nicola Valley community blogging platform. Included in the blog is a dynamic front page, a “Meet the Team” page and blogger profiles with some short introduction videos followed by a blog page, testimonials, map, a contact us page and a submission form for guest bloggers. Many road trips later, thousands of kilometres and bingo, bango , bongo we were set up for the training part of blogging and a blog to work with. Blogs are not just writing. Not if you want people to see them. We created a course detailing all the fundamentals of researching, writing and marketing a good blog for the group of 9 1/2. We talked about the skills needed to create a good blog which will maximize optimization. It is a ton to learn. And then there is applying it for real. The group is excited about embarking on this journey. They seem motivated and understand how big an opportunity this is. They realize they can be change makers. I do too. In the end the group was all smiles at the recent launch party. Maybe a few were a bit nervous too, who wouldn’t be, this is a great opportunity. We here wish the group of 9, plus dog blog, all the success in the world. Everything is in place and now it is up to their creativity and enthusiasm to take over. Who would not want to cheer for good people trying to do good things. With so much negativity in the world it is nice to cheer for the good side. Speaking of good things, give this group a boost and follow their social media pages. I for one would appreciate it. Just go to the experiencenicolavalley.com blog and click on one of the follow us social media buttons. Do you know of a community who could use some dynamic and effective tourism marketing consulting? Give eh Canada Travel a call or if you still need convincing give Tourism Nicola Valley a call at 1 250-315-3290 . Coming to the Nicola Valley for adventure and/or entertainment then contact a blogger today. I am sure they would love to here from you.